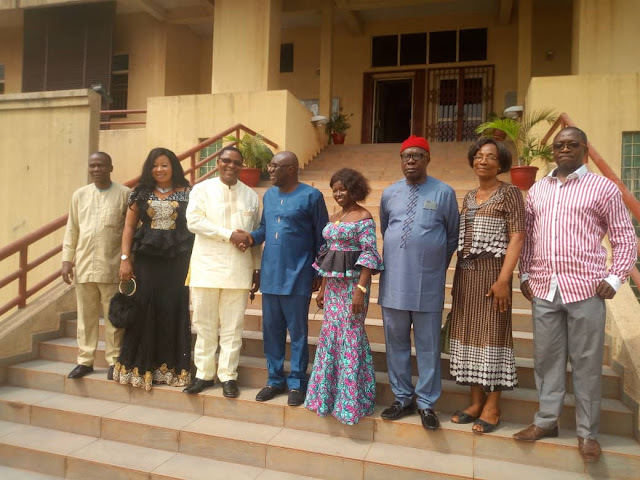 Awka union based in California United States of America on Friday 11th January donated 32 sets of computer 17.3 inches to the management of prof.
Mrs. Nkechi Udenze. Director libery services Anambra state, while receiving the computers thanked the group for their kind gesture started that this will go a long way in improving the lives of Anamberians. 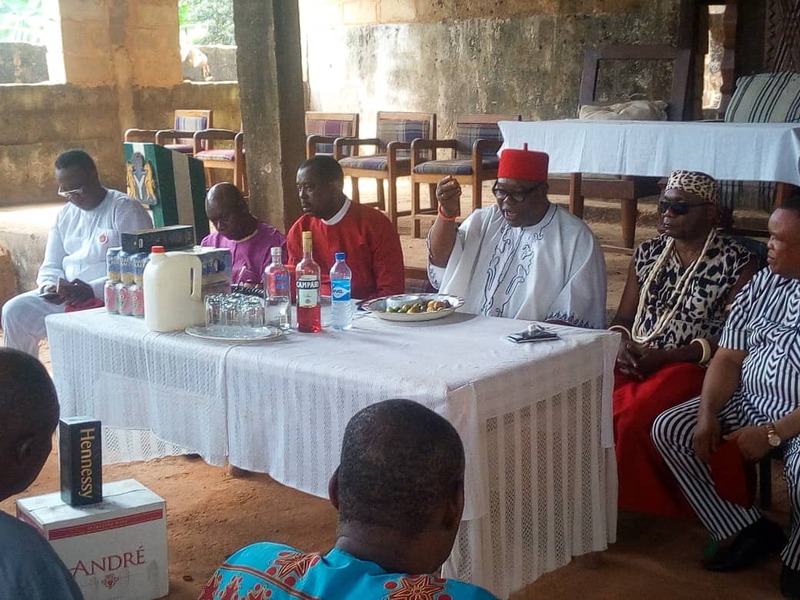 Udenze who predicted 2019 to be a great year stated that Anambra State last year performed very well academically through winning many competition both at national and international level and that these year will be greater. Mr. Benjamin Chukwunenye Chiugo (Umunnanwezuaku) who led the team said the mission of the union is to equip the libery. According to him " We can be doing anything in America but if we don't bring anything home, we have done nothing. "The choice of donating computer set to the library was in accordance with the demand and choice of the library management.
" The group had to make the donation so that those who are less privedged and not opportued to further their education can have a means of educating themselves. "The present administration led by his ecellency Chief Willie Obiano and it's achievements was what made us to start thinking on the need to bring back home our resources. I encourage other Anamberians to assist government in transforming the state because government cannot do it all. In appreciation. 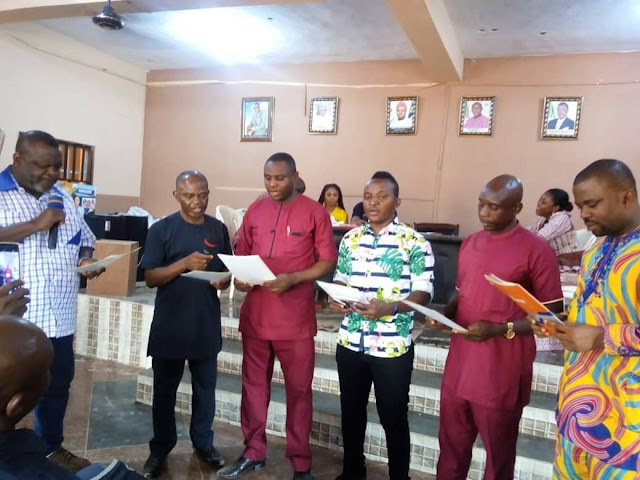 Commission for information and public enlightenment Mr. C-Don Adinuba speaking on behalf of government applouded the union for it's initiative for finding it needful that Ndi-Anambra will benefit from their resources. "If you make all the money in the world and your people are still lacking basic amenities, then you are not successful yet.This is a perfect example of bring home policy. "This gesture is a corporate social responsibility and solidarity to humanity. You thought beyound stomach infrastructure and have invested in mind infrastructure. This shows that you recognize the importance of ICT and this donation can make our people to compete with the rest of the world. Architect Chucks Okoye liasen officer of the project while appreciating the group described them as individuals that have the interest and progress of the state at heart.